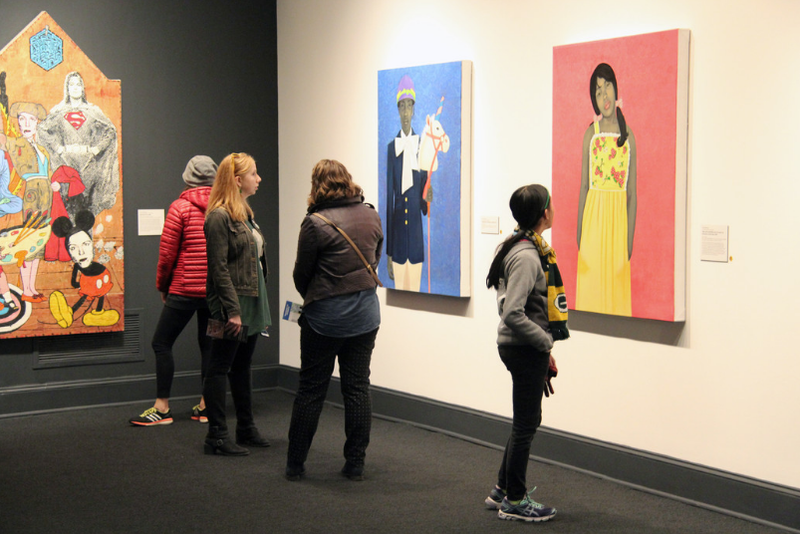 Impress your friends with five fast facts about painter Amy Sherald (b. 1973), whose work is on view in NMWA’s collection galleries. Sherald’s fascination with portraiture began at a young age when she explored art history through encyclopedias. Enthralled by the illustrations, she came to the conclusion that a great artist has the ability to expertly render the human form. Sherald first visited a museum on a sixth grade field trip, and she still remembers the impact of seeing Bo Bartlett’s 10-by-14-foot Object Permanence (1986). This work sparked her desire to create large-scale figurative paintings. The daughter of a dentist, Sherald entered Clark-Atlanta University as a pre-med student, but her passion for painting was too strong to ignore. She switched majors in the middle of her junior year and began to focus on her art in earnest. 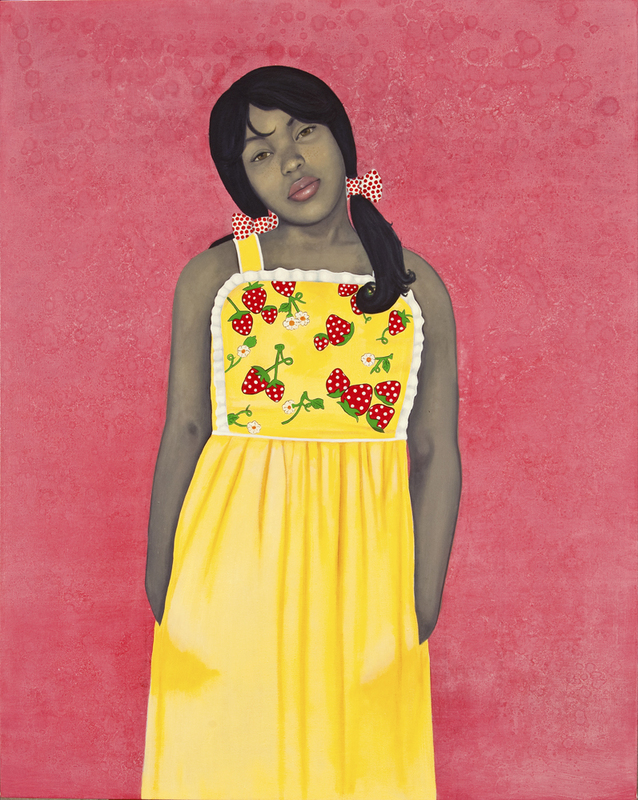 In 2016, Sherald became the first woman to win the Smithsonian National Portrait Gallery’s Outwin Boochever Portrait Competition for her work Miss Everything (Unsuppressed Deliverance) (2013). First posted on the NMWA’s website.